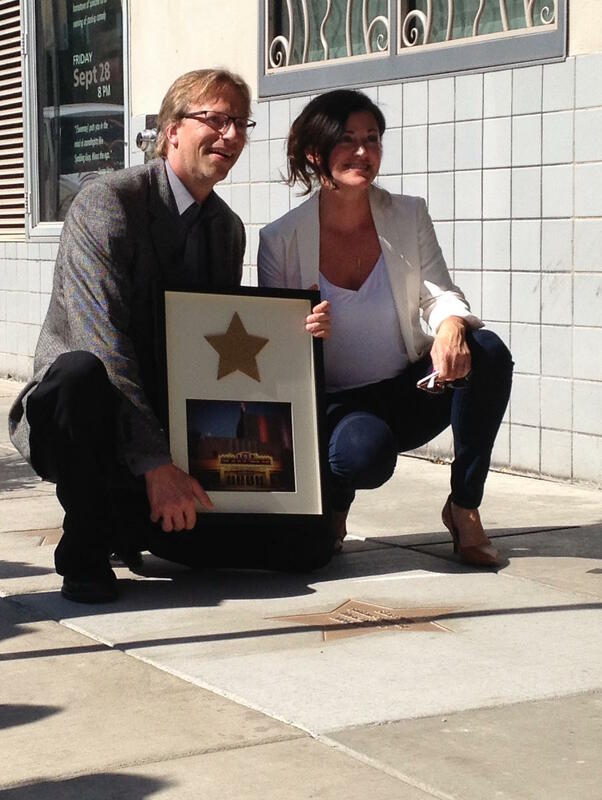 Spokane Symphony music director Eckart Preu and his wife Neeley pose next to Preu's star outside the Martin Woldson Theater at the Fox during a Friday ceremony. “Obviously I didn’t make it to the Hollywood Walk of Fame, but this is much better, much more meaningful. I’ve given 15 years of my life to this organization and I think what that star symbolizes, for me personally, is that, even though I’m leaving the Spokane Symphony, I’ll be always right there. Thank you," Preu said to applause. Preu will move on to the Portland, Maine Symphony Orchestra next fall. The Spokane Symphony is in the middle of a search for his replacement. Also honored are the late pianist and music educator Kendall Feeney; Paul and Susan Kennedy and the Stejer family, longtime symphony supporters and volunteers.